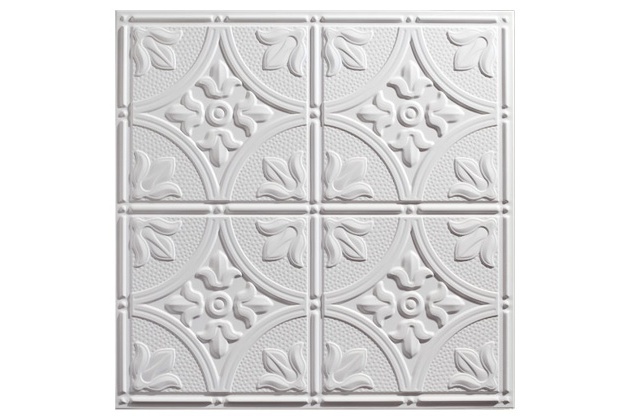 is an embossed tile in white or black with a classic/traditional "antique" pattern. 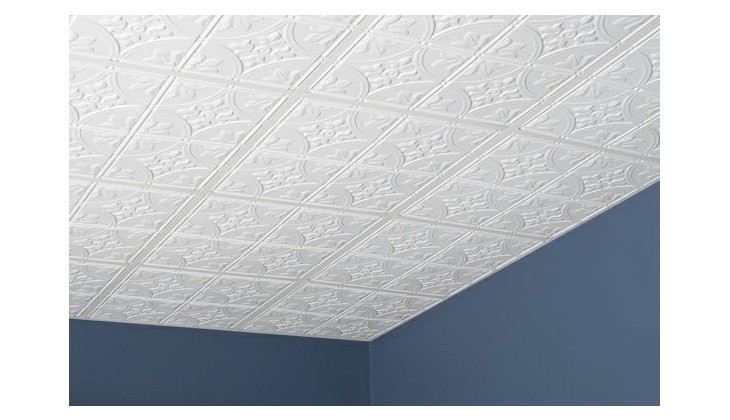 Pricing is per box of 12 ceiling tiles. 18 lbs per box, 1.5 lbs per tile. 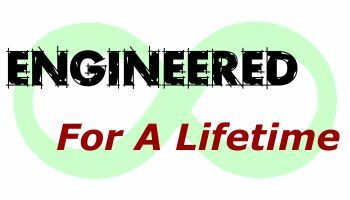 Typical lead time is 2 to 5 days.